Classes for the new season will begin Monday August 20, 2018, and will end with our 13th Annual Recital on Saturday June 22, 2019 at the Times Union Center, Moran Theater. Download & Print Bravo’s 2018-2019 Studio Policies. 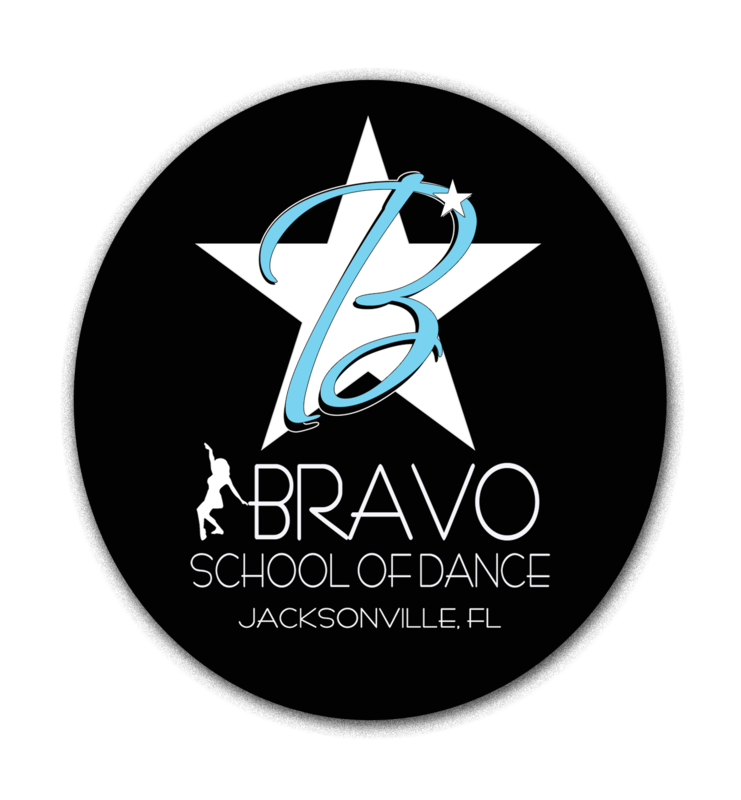 Download & Print Bravo’s Registration & Waiver Form – for enrolling in person. Download & Print Bravo’s 2018-2019 Important Dates (see also calendar below). We accept cash, check or credit card payments. Recurring Payments/Autopay is also an option and can be set up at the studio or through your online account. Due to the high cost of merchant fees, there will be a 2.5% convenience fee for all credit/debit card payments. Avoid this fee by paying with cash or check at the studio. Tuition is based on however many classes you choose. Each class you choose will meet once a week. Tuition is discounted 15% for any additional sibling. *Zumba Fitness….$7class or $25 for 5-class card. Saturday June 22, 2019 ……………………………………………… 13TH ANNUAL RECITAL! Bravo’s 12th Annual Recital will take place in June 2018, at the Times Union Center for the Performing Arts, Moran Theater. – UNLIMITED SEATING to the recital – tickets will not be needed! Registration may be done online. However, if you are unsure of what class to register for, we recommend that you speak to our faculty to help ensure proper placement of students. To register (for new students), you will first need to complete a Registration Form (paper or online), with payment of the student’s first month’s tuition and registration fee due at time of registration. SURCHARGE/CONVENIENCE FEE – Due to the high cost of merchant fees, we are forced to pass on a 2.5% surcharge/convenience fee for all credit card payments in order to cover these costs. However, this fee can be avoided by paying with cash or check at the studio. Tuition is due by the 1st of each month. Payments can be made online, at the studio or by mail (see mailing address below). AUTOPAY is available and will be processed on the 1st of each month. Credit Card Surcharges will be applied. A 10% late fee will be assessed to your account on the 11th day of the month for all unpaid balances and will accrue for every month a balance remains unpaid. If your account has an overdue balance of more than 60 days, your child will not be allowed into class until payment is received in full or until payment arrangements have been made. Returned checks will have a $25.00 service charge added to the account. Tuition is based on an average of 4 weeks per month. Some months may have 5 weeks, or some may have 3 weeks. No additional tuition is charged for months having more than four classes. This same principle applies during the months when there is a holiday – regular monthly tuition is due. There will be NO REFUNDS on tuition payments already made when a student drops or has multiple absences. Same rule applies for any Costume or Recital Fees already paid. Parent/Guardian must follow proper Class Withdrawal procedures when a student drops or discontinues enrollment. See Class Withdrawal and Absence policies. Class withdrawal requires a written notice at least 14 days prior to the end of the month and should be given to the studio office manager. This will allow another student a place in that class, as well as keeping your account from being charged for classes that are not being taken. Tuition is automatically billed on the 1st of each month. If notice is not received 14 days prior to billing, you will be responsible for another full month’s tuition. You are responsible for payment for all classes that your student(s) is/are enrolled in, even if absent, until BRAVO receives written notice of withdrawal. Good attendance is a MUST! However, if you are going to be absent, please notify the front desk. If you would like to make up a class, you may do so within 4 weeks of the missed class during the current season. Please be aware that any absences may not be accumulated or applied to the payment of tuition. Tuition cannot be prorated or refunded for absences. During the first several weeks of class, please allow the instructors to determine proper class placement for the student. PRIVATE LESSONS are available at the rate of $45.00 for ½ hour, or $75 for one whole hour (for registered dancers. Non-registered dancers $55/$85). Please see the front desk for more information & scheduling. Proper dance attire must be worn at all times! No bare legs if wearing dance shorts – tights are a must. No mid-drifts please! Low-rise dance pants must be accompanied with a leotard. Modesty must always be considered. Please see Dance Attire & Hair section for further information. Students are expected to display appropriate classroom behavior. During class, if a student is being disruptive, they will be given three chances to correct their behavior. If, thereafter, they are still disruptive, they will be asked to wait in the studio lobby while their parent/guardian is contacted. Students are expected to treat others (students, faculty, etc.) as they would like to be treated themselves. Profanity will not be tolerated at the studio! Students range from ages 3 thru adult. Always keep in mind that the older students serve as a role model to our young dancers! In order to create a focused learning environment, we limit the amount of distractions to our dancers. We encourage parents to observe classes through our large viewing area. However, if there are too many distractions from the lobby or viewing area, the instructor may find it necessary to close the blinds. No food or drink is allowed inside the dance studio! Please keep all food and drink in either the lobby or study. Please be sure to throw away all trash in its proper place. There will be absolutely no gum chewing in class. Students – please turn off all cell phones when entering the dance studio. Students are advised not to bring any valuables to class/studio. BSDT will not be held responsible for any lost or stolen items. Students should label all shoes and belongings. Labeling prevents confusion among students. STUDENT PICK-UP: Parents must pick up their child immediately after their last class! Leotard, tights, pink leather ballet shoes, black tap shoes. Black leotard, pink tights, pink canvas or leather ballet shoes. Hair in bun. Black tap oxfords for tap. Black or tan slip-on shoes for jazz. Hair secured away from the face. Leotard and tights, leggings or shorts (any color). 1/2 Sole shoes or slip-on jazz shoes. Hair secured away from the face. Comfortable dance attire. Clean gym shoes, boots or jazz sneakers; Non-marking soles. Pre-Combo Class: Combines Ballet with Jazz ,Tap, Hip Hop or Tumbling. Students will learn the elementary foundations of these techniques in a fun and creative class, designed especially for the 3-4yr old age group. Ballet: Foundation of dance. Proper body alignment, placement, grace, musicality, classical technique and Ballet vocabulary will be developed in this class. Pointe: For the more advanced ballet student; must be enrolled in Ballet. Tap: Combines dance movement with rhythmic sounds created by the feet. Students use music, timing and quality to manipulate these sounds. Various styles of Tap, as well as vocabulary, are taught. Jazz: Students learn technique and combinations, as well as the body isolations associated with this form of dance. A strong sense of rhythm and dance style will be developed. Contemporary/Modern: Modern emphasizes the use of the floor for centering and grounding oneself in movement. Contemporary dance draws on both ballet and modern dance techniques as well as newer philosophies of movement that depart from classical dance techniques by altogether omitting structured form and movement. Lyrical: Lyrical dance is a style of dance created by merging ballet and jazz. The style is usually danced at a faster pace than ballet but not as fast as jazz. Ballet technique required. Hip Hop: Consists of a fusion of dance styles you see today in music videos – jazz, funk and hip-hop. This is a high-energy class, so be prepared to sweat and have fun! Acro/Tumbling: Acrobatic movements are combined with dance steps as students learn the fundamentals of movement and timing with tumbling.